The 2016 Toyota Land Cruiser is an amazing SUV that is not for the faint of heart. When you need a vehicle that enough power for towing capabilities and cargo space you’ll want to check out the 2016 Toyota Land Cruiser. 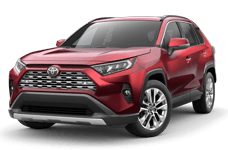 At Toyota of Fort Walton Beach, they will deliver excellent customer service to help you pick out the perfect Land Cruiser for you today! Located at 1006 N. Beal PKWY, Fort Walton Beach, FL, Toyota of Fort Walton Beach serves Pensacola, Panama City, Wright, and Navarre, FL. The 2016 Toyota Land Cruiser offers a 381 HP-5.7L V8 engine. Features include 10-way power driver seat, Multi-level heating passenger seat, leather seats, split-folding rear seatback, hands-free entry, adaptive cruise control, and power steering. Choose between the two models for your needs. Colors include blizzard pearl, blue onyx pearl, brandywine mica, classic silver metallic, black, and magnetic gray metallic. Standard safety features include front / side airbags, driver and front passenger whiplash lessening seats, Child-protector rear door locks, energy-absorbing collapsible steering column, LED headlamps, tire-pressure monitor, Hill start to assist, front and rear energy-absorbing crumple zones with side-impact door beams, energy-absorbing collapsible steering column, electronically controlled locking rear differential, Head-impact protection structure, Engine Immobilizer, hill start to assist control, and roadside assistance. Interior features of the 2016 Toyota Land Cruiser include automatic climate control with dust and pollen filter, 6.1 LCD touch screen, JBL premium brand stereo system with 14 total speakers and a subwoofer, DVD player, 605 watts stereo output, Bluetooth, a rearview camera, power sunroof, and dual vanity mirrors! 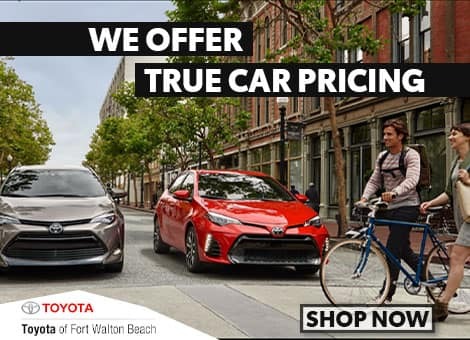 At Toyota of Fort Walton Beach you'll find dedicated sales representatives who are attentive to their clients. When you’re looking for the biggest Toyota Vehicle to handle all your needs consider the 2016 Toyota Land Cruiser. 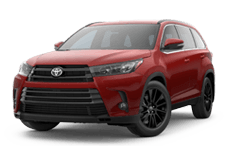 Come to Toyota of Fort Walton Beach for this amazing and powerful vehicle today! Located at 1006 N. Beal PKWY, Fort Walton Beach, FL, Toyota of Fort Walton Beach serves Pensacola, Panama City, Wright, and Navarre, FL.